The members of the Central Committee are elected in the primary election every four years during the year of a gubernatorial election. The newly elected members take office following the gubernatorial general election. Membership of the committee is set at seven members, elected at large. All members must reside in Kent County and be registered to vote as Republican. The Central Committee meets monthly. We are the voice of Republicans in Kent County, Maryland. We are not part of the professional political class. We are just a bunch of regular people who love their country and county, and believe in the American exceptionalism. We are part of the Trump movement and therefore we support our President's political and economic agenda! Our humble desire is to promote and defend the Republican principles of small government, freedom, and free market capitalism against the aggressive rise of Progressive-Socialist ideas that have taken over politics over our culture, traditions, and values. In the spirit of tolerance to other points of view, we are open to any constructive dialog, new ideas, suggestions, and even criticism. We cannot wait to hear from you! 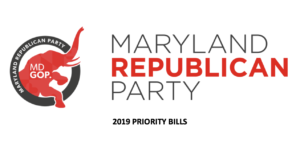 In the end, just a reminder to all of you, that our Central Committee is also the official link between Maryland GOP and the people of Kent County who share our vision. Please continue to check our website kentcountyrcc.com and Facebook page. We need enthusiastic and committed members, who have the will and the desire to promote the Republican – conservative values in Kent County, and support our President and his agenda. You can also contact Tatiana Croissette, Kent County Republican Central Committee Chair at: 410-253-7393, or tatiana@kentcountyrcc.com.